If i could leave 6 stars I would. An absolutely amazing dining experience with an exceptional staff. The owner works just as hard as everyone else, a lovely experience, one I can't wait to have again! An authentic take on Italian pizza. 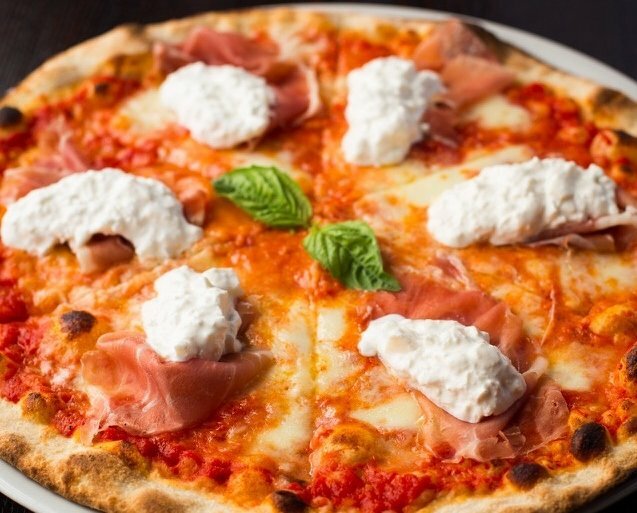 Thin crust with flavorful, creamy Burrata, and proper prosciutto. Add beer and wine options, plenty of appetizers, and reasonable prices. Definitely recommended if you like Italian flavors. I'm Italian living in California and sometimes I really miss an authentic oven baked thin crust pizza. Well, this place was a total surprise. It was literally like stepping in a pizzeria in Milan, from the deco to the experience and the perfect pizza. Absolutely top! Great food, excellent menu even though I could not read it that well but the food was still great. Great wine and beer menu. It is somewhat hidden with an unknown Tech repair place next door. The food is great and everything about it is inviting!!! Great food. Authentic as it gets from Italy. Genuine and classic restaurant....you will be pleased. Owners are direct from Italy and they did it just right. You will not top this place in America. Copyright by Ambrogio15 - 2018. All rights reserved. If you see this message, you are outside business hours, online ordering is disabled until we open.